I've never seen so many inconsiderate people in my life. I don't know who coined the phrase, but I use it all the time; "common sense just ain't that common anymore"; and it really showed over the past 2 weekends how rude people can be. I'll just leave it there! Now that snapper season is gone, we are getting back to work on the fish we can keep. On Friday we had our first little nor'easter come through and that really fired up the mullet run. 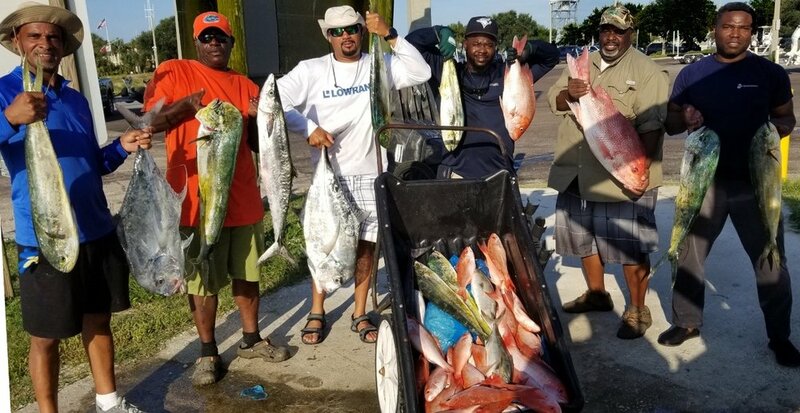 Hundreds of thousands of mullet flooded the river and inlets this weekend and that brought along tarpon, bull reds, sharks, kingfish, and Jacks. Pogies have still been along the inlet and beaches and they too, are drawing the attention of the predators. On the 4 hour, 6 hour, and 8 hour trips, we are back on the kingfish slow trolling live pogies and mullet with 30-40 lb. wire leaders with #6 to #4 treble hooks. We’ve also been picking up some Spanish mackerel, cobia, sharks, barracuda, bonito, etc. while staying from 3-20 miles from shore. 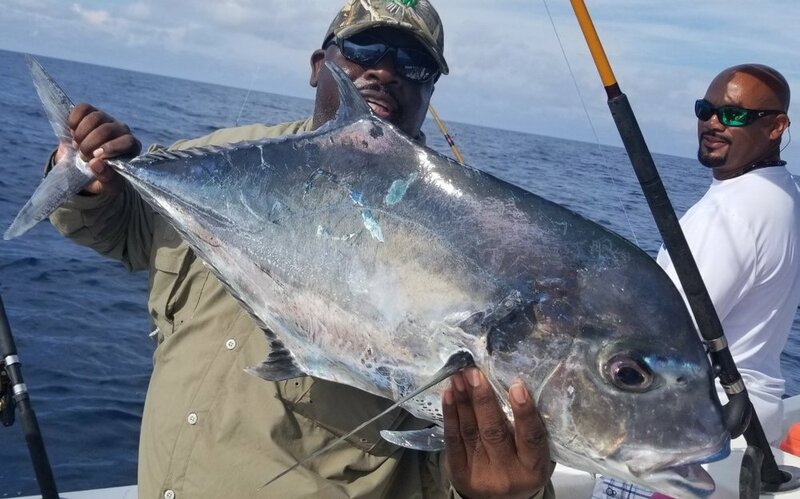 Bottom fishing for vermilion, triggers, porgies, jacks, etc... is beginning to pick up offshore from 30-60 miles out on the 10 hour and 12 hour trips. We also caught a nice mess of dolphin (8) on a charter last weekend while on a 12 hour trip which was a nice surprise. 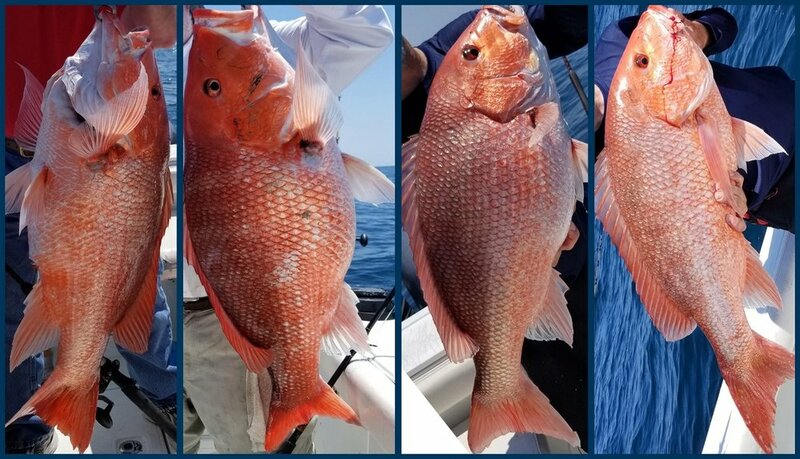 The mangrove snapper bite has also been pretty good on the 10 hour and 12 hour trips. It's a great time to go fishing so take advantage of any opportunity you have to get on the water! Squid, cut bait, or chunk Boston mackerel are the bottom baits of choice.